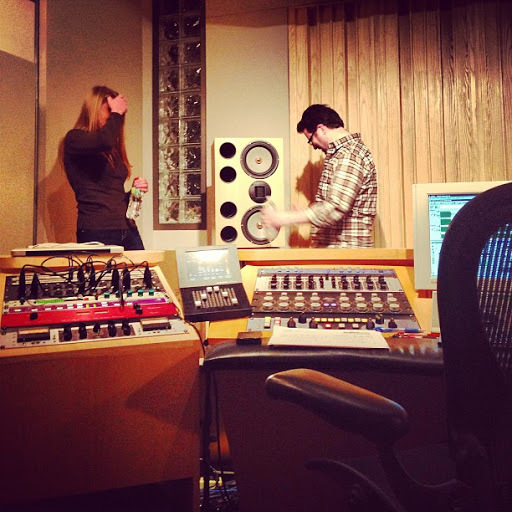 Tuesday night we gathered at Engine Room Studios and mastered the record. I arrived almost an hour early and in a bid to kill time asked if I could get some fresh air on the roof. 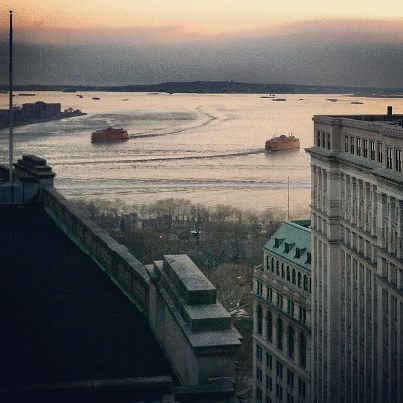 Below is a lovely shot I took of New York harbor close to sun set from 22 floors up. 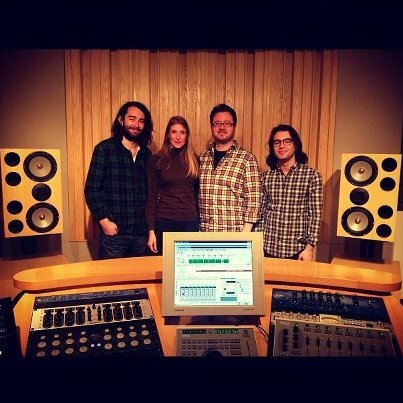 We sat in the mastering studio and watched Dan Millice, our mastering engineer go through the tracks and level them out. We debated the track listing and settled on one that we all agreed upon. All the songs now run smoothly into each other. Daniela twisted my arm (she’s tough to argue against) and I relented and included Haunted House as a hidden track. It is the cheesiest song I’ve ever written/heard but it’s buried deep, very deep. It was great hearing the record play so loud in the sound proofed room. I don’t think I’ll ever get the chance to hear it on such quality speakers again. We are very proud of it (hidden tracks not included). Afterwards we hit a bar in the village and celebrated the end of the record. Music and booze, is there a better combination? Nope!